While in Honduras three weeks ago I was blessed by God to receive amazing hospitality from a people that have little material wealth. 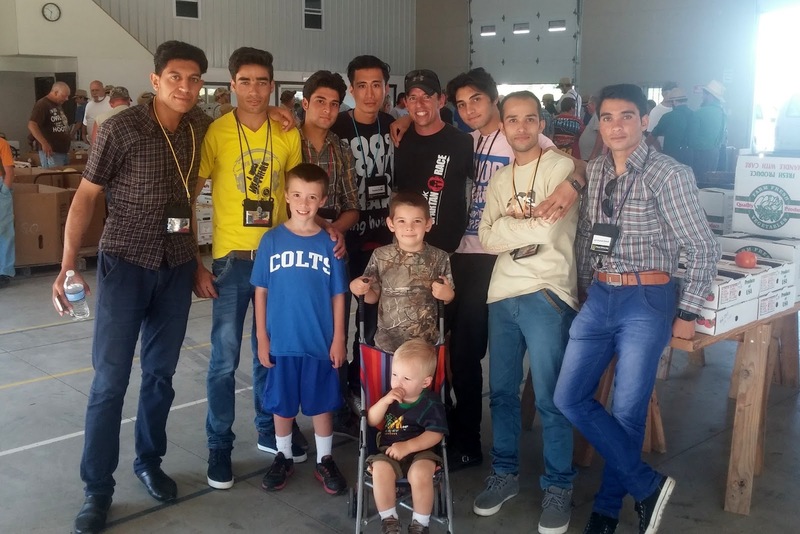 They welcomed us in their homes, offered us meals, requested the service of washing our clothes, and much more all with an expectation of no payments. It is their faith and culture that encourages them to use their home, possessions, and energies to serve others. I was convicted when I returned to the States, that my home is not as hospitable as theirs. Yes, by American standards, Ashley and I might be viewed highly as we have someone in our home for a meal about every two weeks. But that is usually friends, and rarely does a stranger receive the same level of hospitality rivaling that of the Hondurans when they enter my neighborhood. Yet the Scriptures many in our community profess to follow say a lot about hospitality, even toward foreigners. Hebrews 13:2 Do not neglect to show hospitality to strangers, for thereby some have entertained angels unawares. Romans 12:13 Contribute to the needs of the saints and seek to show hospitality. To Jalil, Mujtaba, Juma, Farooq, Omid, Vakil, Ghulam, and Mohamad, I Thank You! I am convinced this is an area of my active daily faith that I can grow with help from God. 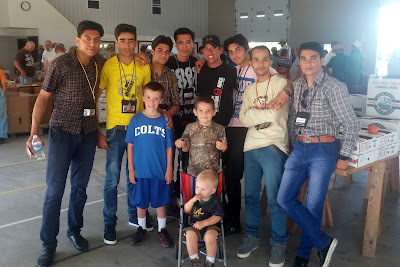 When I found out today that there was a group of Afghanistan students hanging out at the Daviess County Produce Auction in Cannelburg, IN, I knew God was giving us the opportunity to make someone feel welcome. What happened though, was them treating me as though I was the one to be respected and served. Their graciousness, respect, kindness, and sincerity was far and away deeper and greater than mine. The conversation with them was so much fun and the mutual learning so beneficial that we traded contact information. It didn't matter to them one bit that we might be followers of different world religions. What mattered most was showing kindness, respect, and hospitality for another human. They also shared that they most often hug when meeting new people instead of a handshake! I felt the value they gave me and my family. I only hope they felt the same value from me as well. Rewarding and Surprising. That was our response to the Breaking Chains Ministry that God exposed us to on the last night of our mission trip. First, we met at the Breaking Chains children’s home, then we traveled to the downtown streets of Tegucigalpa to feed a meal to homeless and disenfranchised. Primary Mission: The ministry's mission is to serve and seek change for those affected by urban poverty in Tegucigalpa by meeting basic needs and developing human relationships that act as a gateway toward a relationship with Christ. While the photo in this article isn’t one of the highest quality, it does give you an idea of the nature of our activity. God blessed our members with the opportunity to hand food from the back of a truck to anyone who would come. The photo depicts Jason, Jalayna, Carla, Sadie, and Jaden serving in a very active way. Afterwards, we walked within a close proximity to deliver food to any that didn’t realize the truck was there. This great ministry, which now runs a children’s home and builds houses too, started from the humble beginnings in 2009 of serving food from the back of a truck. We’re grateful they have never lost their humble desire to serve. 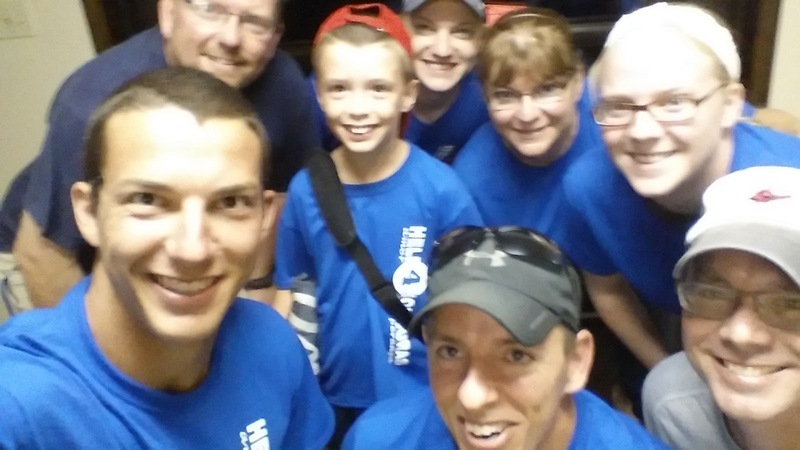 We look forward to serving with them again in the future. Good morning, this is Topher from Washington Church of Christ, bringing your message minute. How do storms make you feel? In your mind picture the bright flash of lightning, hear the rumbling crashing thunder, feel the air, the ground, your body shake, smell the hard rain coming. Does the thought of a coming storm scare you? Last night, a good friend texted me these words, "A storm is coming…" in reference to a tough situation I’ll have to handle soon. The truth is, Jesus never promised us a life without storms. He even told his closest friends, those twelve disciples, this statement, "In this world you WILL have trouble." But here's what the Master Teacher said, in the context around His troubling statement. "Have peace, Take heart, Jesus has overcome the world." Today, there may be a storm coming that fills you with fear and trepidation, but make an effort to have faith in Jesus, follow His teachings, and have peace, knowing that He has overcome the world. You'll be glad you did. Message Minutes are sponsored by Washington Church of Christ and recorded for public 107.9 The Memories WAMW morning radio program. They air at approximately 7:35am on Weekday Mornings. To find more of the Message Minutes that have been uploaded to this blog CLICK HERE. 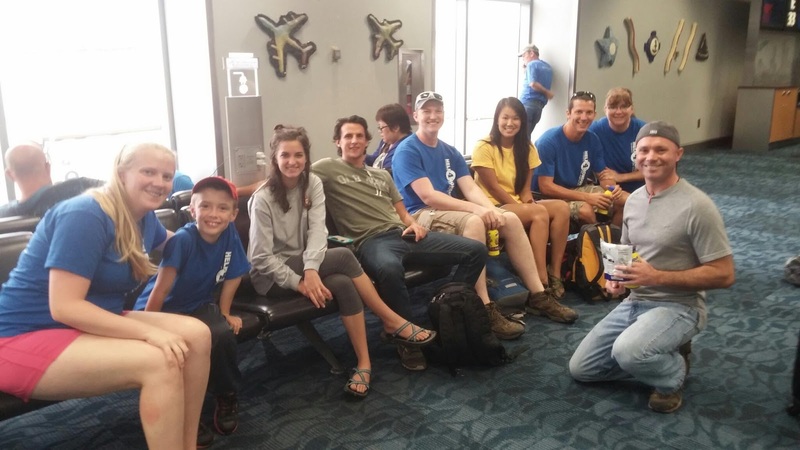 There were many important theological and life lessons we shared with others on the July mission trip to Honduras. Sometimes I think the “catrachos” shared even more of those lessons with us. I’ve got pictures of Julio from at least 3 years ago in my archives. Guess what I learned from looking back at my photographs. Julio ALWAYS smiles. This kid has smiled every time we see him. He always seems genuinely happy. Let me tell you a little bit about Julio now. He has no dad in the picture. He lives in an extremely impoverished mountain farming area. His mother can’t take care of him. 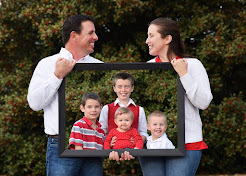 He lives with his aunt Maria (whose husband died) that has nine other children. He shares a bed with other boys to stay warm. He is an outstanding and intuitive assistant on a house build, knowing just where he needs to be at every moment. He never asks us for anything but is grateful for any gift. He has a really cool “frohawk”. Oh, and JULIO ALWAYS SMILES. Let’s take a lesson from Julio’s playbook (which is derived from God) to take a step back from the silly things that instigate our mumbling and grumbling, and really consider how blessed we are. Let’s turn those frowns upside down. 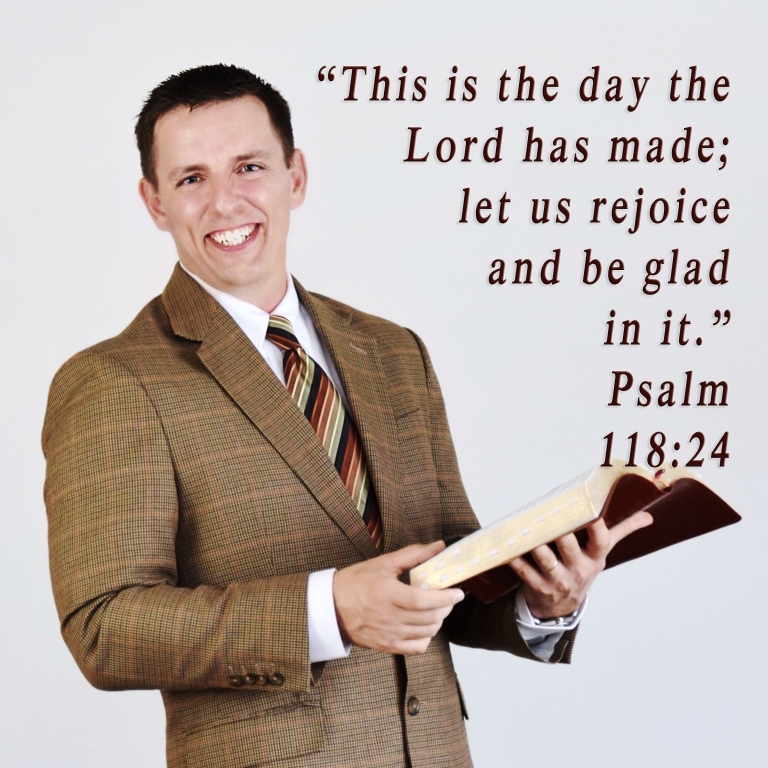 Brothers and sisters, no matter life’s circumstance, as a believer in Christ, IT IS TIME TO SMILE! I don't like everything he writes, but I do find all his writings challenging. When Bill Wininger let me borrow A Grief Observed written by C.S. Lewis, I was definitely challenged. Lewis lets loose on paper the raw emotion coming from his heart in the days following the loss of his wife. Some of the immediate writing is hard, angry, depressed, and questioning of God and His sovereignty. Yet Lewis doesn't reside there forever. Even through this short compilation of writings you see movement toward healing. Here is an excerpt from the heart of Lewis weeks after the tragedy. "Something quite unexpected has happened. It came this morning early. For various reasons, not in themselves at all mysterious, my heart was lighter than it had been for many weeks. For one thing, I suppose I am recovering physically from a good deal of mere exhaustion. And I'd had a very tiring but very healthy twelve hours the day before, and a sounder night's sleep; and after ten days of low-hung grey skies and motionless warm dampness, the sun was shining and there was a light breeze. And suddenly at the very moment when, so far, I mourned (my wife) least, I remembered her best. Indeed it was something (almost) better than memory; an instantaneous, unanswerable impression. To say it was like a meeting would be going too far. Yet there was that in it which tempts one to use those words. It was as if the lifting of the sorrow removed a barrier." Followers of Christ often walk a tightrope of balance in handling conversation surrounding the physical deaths of family members, friends, and loved ones. Following Solomon's wisdom in Ecclesiastes 3:4, I believe it is good to let people experience weeping and mourning. Yet, due to the experience of others like Lewis and sound Biblical guidance from passages like 1 Thess 4:13, I choose to gently believe and look for hope of the clouds lifting one day. 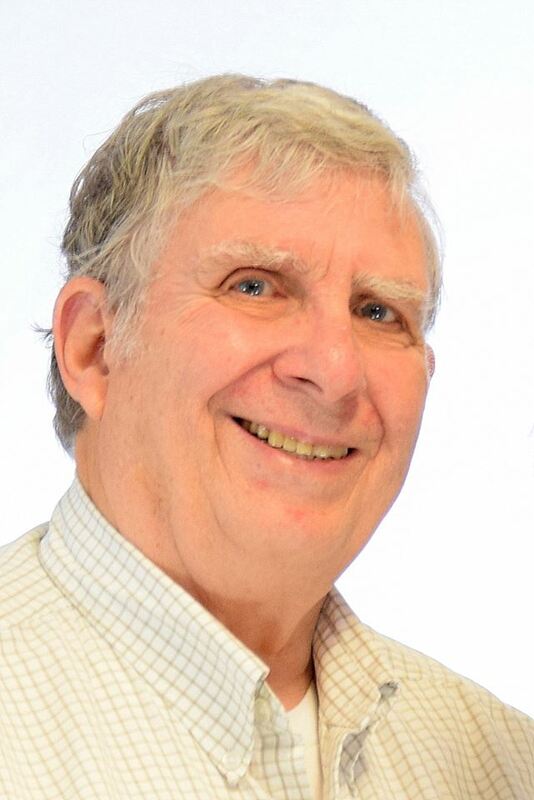 Like many of you, my heart is still saddened and heavy at the loss of life here with friend and brother in Christ, Bill Mundy. I've experienced that loss through my own tears and my own struggling questions. Yet, I've reached the place where I can look forward to the hope of one bright shining day of seeing his smile again. I hope you reach that place at some point too. Today our group got to experience two wonderful missions that started with very humble beginnings. Mi Esperanza is a women's mission that now makes clothes using women from Honduras, giving them better than average wages. It teaches them classes that give them valuable life and business skills and blesses them with God's Word, inspiration, and hope throughout their day. Breaking Chains is another ministry that again began with humble beginnings by simply feeding homeless. Tonight we did what has been done for many years, we fed the homeless out of the back of the truck. But it wasn't physical food that was our primary focus. We want to give the people value. We want them to know that they are valuable to us and to God. We want to treat them with the same value God has for them as His special creation. We want to treat them as people who are made in the image of the Almighty God. That's what we gave out from the back of the truck to the homeless tonight. We're back at Baxter Institute, Gabriel is the first one to sleep as usual. Everything is going well on our trip. Even though we leave a part of our hearts in Honduras, we're looking forward to being home with you soon. Thank you for all your prayers. This day is always a challenging day. First we went to the dump to feed the residents there. We protect our food with Mark Connell from torch missions. He is a great guide and a big help. The residence of the temper always grateful to see us and it's always a humbling experience for us. We didn't visited the amor de Esperanza school. 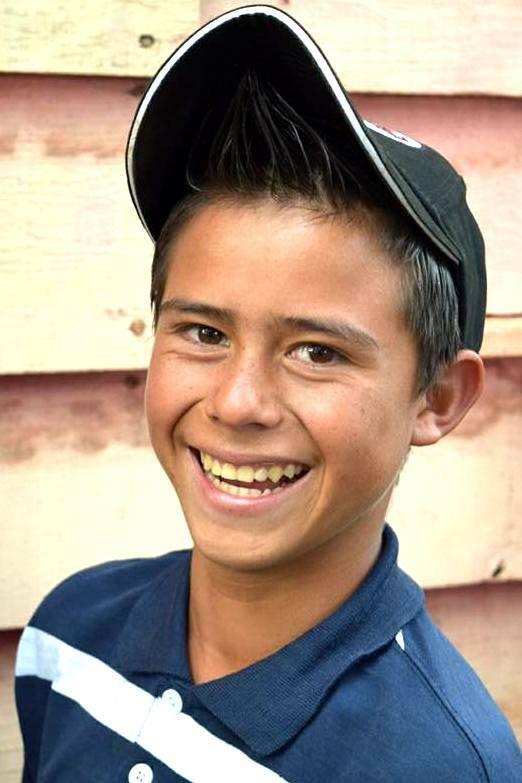 Many of you help Gabriel raise money for these students last year. The money helps to students go to school and pay their tuition all year long. The school serves primarily the residence of the dump. The ministry looks like it's going well and we look forward to seeing where it goes and years to come. We didn't visited the school for the blind. There are new requirements mean we can't take photos while we're in there. I wish we had some this year, but we did take a recording after asking the director of the kids singing songs to us. It's a humbling experience. Day 6 is about to begin. We just found out the good news that the valve at the top of the shower turned on the hot water. Jonah just said "there's hot water!?" Today also begins our final stay in the village of Guajira. Will be building a house today and then prepping for our big day, Sunday. Tomorrow we preach we teach lessons at VBS and we give away food and donations to the church. It's going to be one busy day! Will be out of communications for the next couple of days. We look forward to catching back up with you on Monday morning. Everyone is still very healthy, and we look forward to staying that way. Please pray for that endeavor! As always you can go check my facebook for more public photos. Just a quick note to let you know we're alive! We've made it back to Baxter Institute from the remote Mountain region of Guajire. Everyone is safe and healthy. Our two days without communications was welcomed for many in our group. We spend a lot of time around the campfire, a lot of time in face-to-face personal interaction with the residents of Guajire. We built two houses in two days, went to Wednesday afternoon church services, spent time praying and visiting people, and enjoyed giving Bibles to others. Our team is really jelling together nicely. God has really blessed us with a great mission so far. We will be uploading tons of photos tonight and telling more of God's story tonight. We are going to get cleaned up and visit a hospital. Thank you for praying and please keep praying for us. God is good! We arrived safely yesterday and were blessed to have two of our close amigas join us for the week. 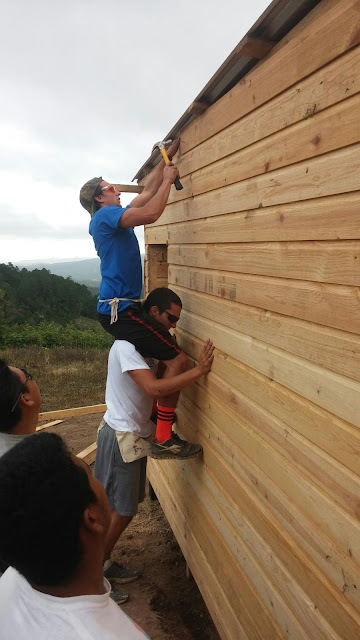 Kelin and Karol are a welcome sight as they know how to wield a hammer, love a child, and translate all our needs. It's 5:30am and I've been editing photos for about an hour. Sorry I didn't post any last night. With only an hour of sleep the night before, I, like most of the team, was beat. We all turned in early after our devotional. Since I'm using the tablet instead of laptop this year it looks like I can only attach one photo per blog post. Most of my photos will be uploaded via Facebook. Breakfast is at 7am, then we get ready to find the elusive peanutbutter that was not carried at Walmart. After the hunt is over, we travel a short distance to God's blessed little church in Guajire. Our departure to Guajire means we don't receive an internet signal, although we are hopeful to have phone signal from the top of the mountain. This blog will be quiet till Thursday afternoon. We appreciate all the prayers and love for home as we remember James 5:16, "The effective prayer of the righteous avails much." Keep em coming. See you in a few days! 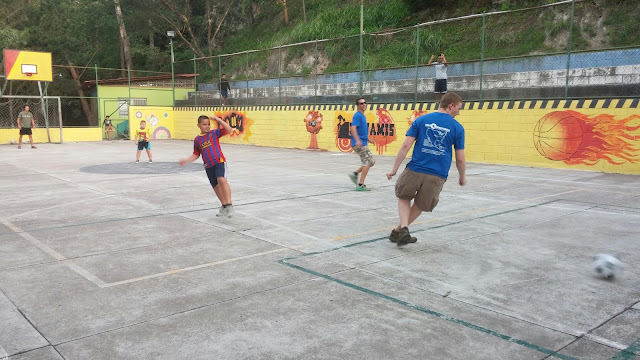 No matter where you go in Honduras, children are always willing to play a pickup game of soccer with the gringos. We had a great safe flight in. I think that was the softest landing I've ever had in Honduras. We all cheered for the pilot. We got settled in at the Baxter Institute very well. There are students studying the Bible here from 12 different countries right now. This place is great. We feel very safe here and supported to do good works in His name. We went to Walmart today and picked up supplies. Our bus driver Billy, is great! He was always so quick to help and point us in the right direction. We had a great devotional tonight at the Mission House. There is also a pretty raucous soccer game between the gringos and the last thing I was. I'm a little sore, but the gringos 1523. I know it's hard to believe. We get ready to go to Guajire tomorrow morning, where we will stay for two nights and build two houses. We're looking forward to it, we look forward to sharing with you. Everyone right now is feeling good, and feeling healthy. We thank God for answering your prayers for our health and safety. We look forward to seeing telling you more about it later. May you be blessed in this reading and may God be glorified! 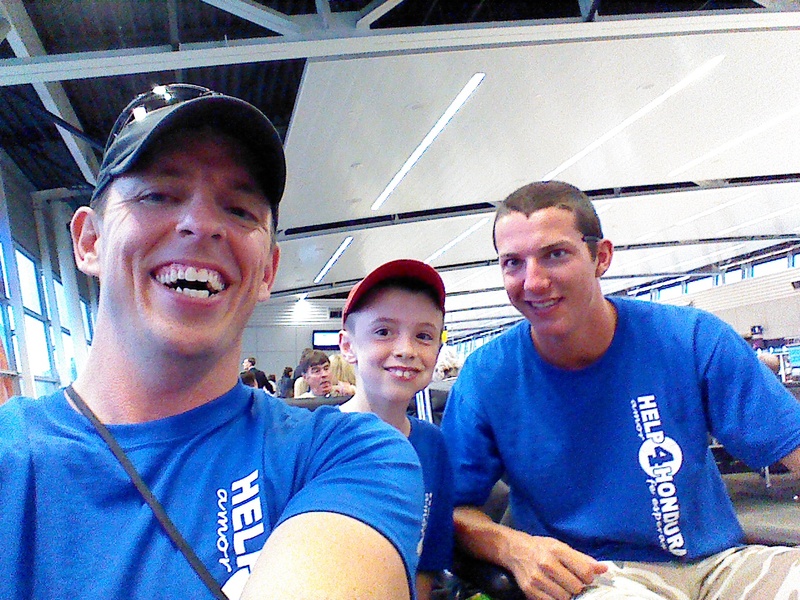 The Honduras mission team has arrived safely in Honduras! Praise God! Be sure to check in over the next few days for more updates. I was great to see Emma, Sadie, and Jonah. It's a sweet reunion! God has been good to us! 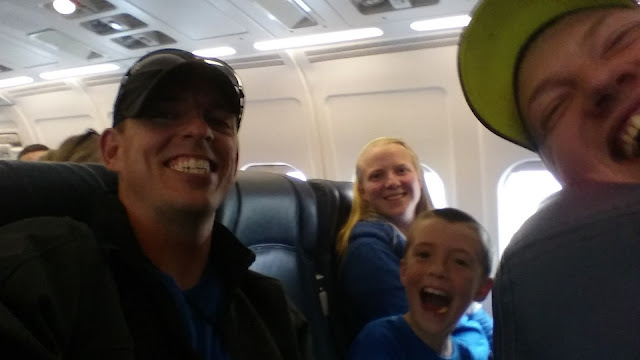 We arrived in Atlanta, and we are looking forward to seeing our Kentucky crew at the gate! Chilling at the gate! So far so good. Carla is eating tater tots. Jaden sat on her to take a tot. We're rolling this morning. Gotta give a big thanks to Doug Sydow for driving us up to Indy this AM! Everything is on schedule and God has blessed us with smooth sailing so far. We would appreciate your prayers. A selfless homeschooler stopped by to drop off money stating, "God has put missions on my heart lately." When asked what I should spend it on they replied, "God will figure it out." It's especially humbling knowing they have their own mission trip early next year and sacrificed to do this! If there's one thing I've learned about Honduras, it is that "The best laid plans of mice and men oft go awry." Well, here's our plan anyway! Visit Jesus Statue if we have not already. Want to know what to pray for? Want to know how we're doing? Simply follow my blog at www.topherwiles.com . You can even sign up through email to be alerted when we post something new! We will try to post as much as we can so that you can be a part in praying for us! Have a very happy and safe 4th of July. 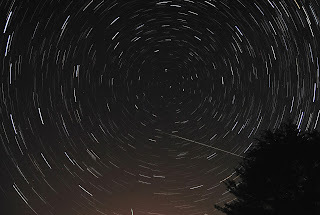 As you look up tonight, in between the fireworks, you may see beautiful stars. Consider these words from Isaiah 40:26 and be blessed, "Lift up your eyes and look to the heavens: Who created all these? He who brings out the starry host one by one and calls forth each of them by name. Because of his great power and mighty strength, not one of them is missing." MORMONS, we love them. They stopped by our house twice a week in Nashville when they found out we would let them come in. We in turn baked them birthday cakes (since these young missionaries were away from their moms), fixed their bicycles (they missed their dads too), and answered their Hebrew/Greek questions (because they were only allowed to read the KJV and not the ancient text). 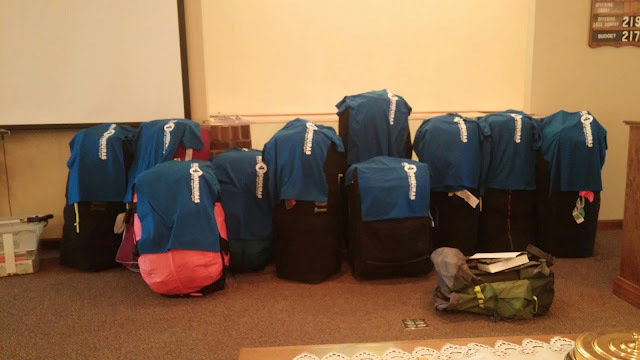 Then after six weeks, they were sadly shipped out to another city, possibly to avoid what was happening in our home; the development of a deep relationship involving trust, love, and a differing view of the Holy Scriptures. MARRIAGE, we cherish ours. So when our beloved Mormon missionaries informed us that God did not honor our marriage because our wedding was not in a Mormon temple, we were confused and shocked, but not angry. These young men with teary eyes shared their warning and unfortunate news with us because they honestly cared for us and the marriage Ashley and I devoted to God. They shared the warning with us because they genuinely wanted us to share in our marriage not just on earth but in Heaven. As a result of their sincerity, we genuinely searched the scripture to see if this was truth from God's Word, which resulted in our more established faith in the Holy Bible alone. MORAL MALFUNCTION happens more than you will know. These Mormons were never pushy, angry, or rude to us. Yet all of the young men visiting our home shared stories of the moral malfunction of our society directed at them and their dissenting opinion. One occasion saw a driver speeding down the road hurling an unprovoked glass bottle at these well-meaning missionaries, striking one hard in the shoulder leaving a deep physical and psychological bruise he wouldn't soon forget. Another occasion saw a "member" of the church of Christ slam a door in their faces only because the missionary wore the nametag titled "Elder". You know moral malfunction has set in when they confess, "You're the first nice 'church-of-Christer' we've ever met." They admittedly didn't meet many nice people of ANY belief in America. MY MESSAGE TO BELIEVERS in God's Holy Bible is to understand that we follow a different Book than the rest of the world. The Mormons have FOUR different "holy" books. Five Supreme Court justices also follow a different book, such as an alternative translation of the 14th amendment of the Constitution. Many others just follow a popular oral tradition titled "Me, Myself, and I". MY MESSAGE TO BELIEVERS is that like the Mormons and most of the religious world today, our Holy Text does not honor sexual relationships outside of the marriage of one man and one woman. Our Holy Text also doesn't require the marriage to be wedded in a temple. Let us take a lesson from our beloved Mormon missionaries, who have been dealing with their idea of unhonorable marriages for a couple hundred years now in America. Let us not react with hatred to people who sincerely and kindly follow another book than the Bible. Let us not slam the door on authentic opportunities for people to listen and open the Holy Book in a quest for Truth. By all means, let us not espouse in our lives ANY of the deeds of the flesh which are evident: sexual immorality, impurity, sensuality, idolatry, sorcery, hatred, strife, jealousy, outbursts of anger, disputes, dissension, division, envying, drunkenness, and carousing (Galatians 5:19-21a). May we instead EARNESTLY SEEK to practice the fruit of the Spirit that will inherit the kingdom of God: love, joy, peace, patience, kindness, goodness, faithfulness, gentleness, and self-control (Galatians 5:21b-23). 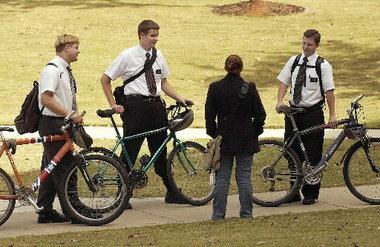 To our Mormon missionaries and all those who are kindly seeking truth; bike tools, birthday cakes, and an gentle open Holy Bible will still greet you at our home.